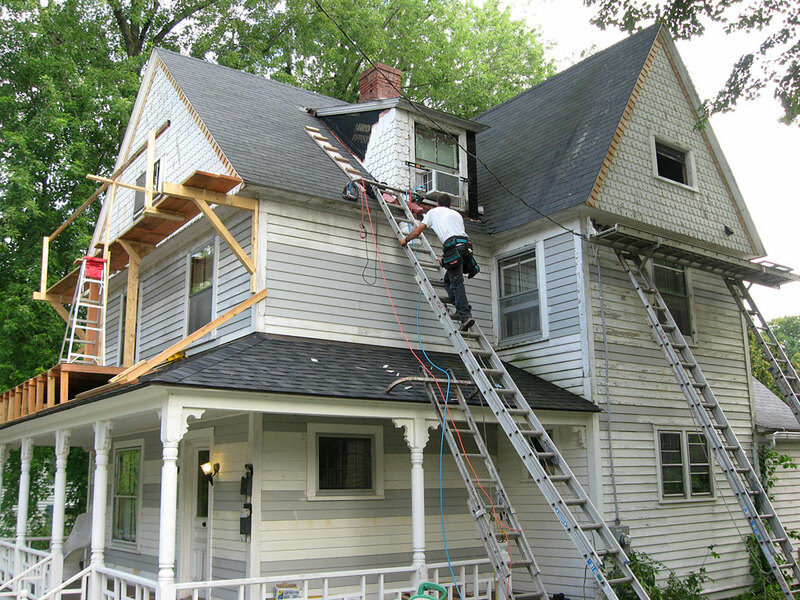 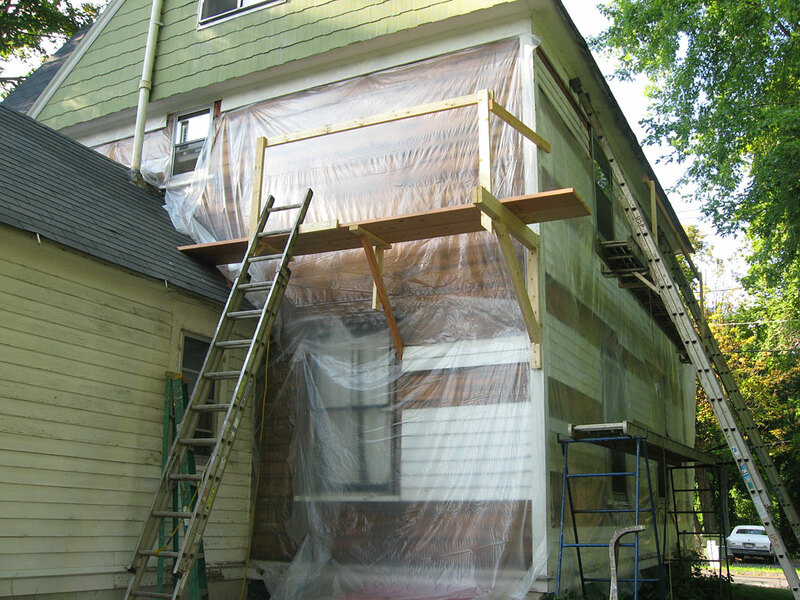 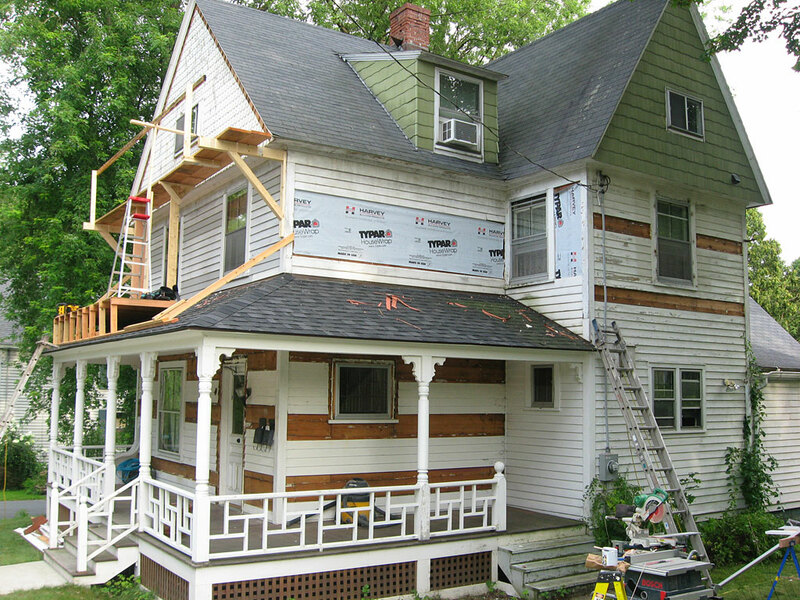 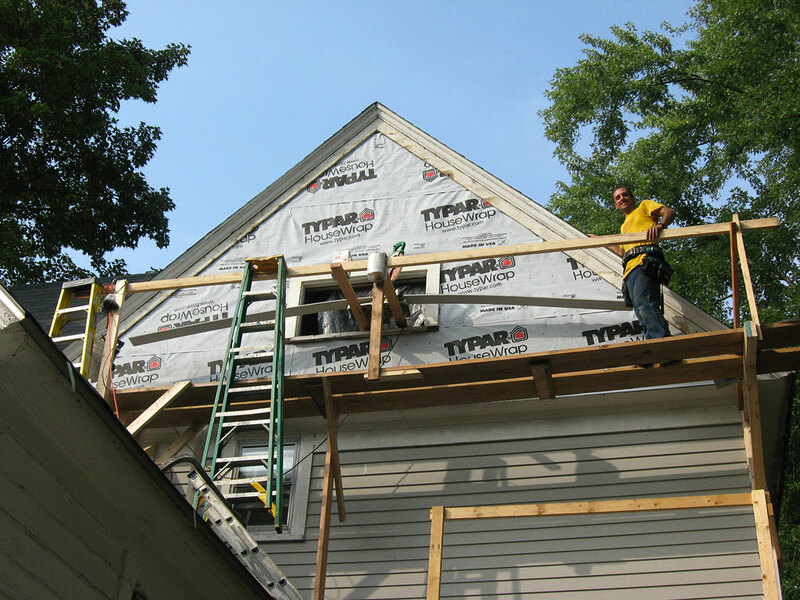 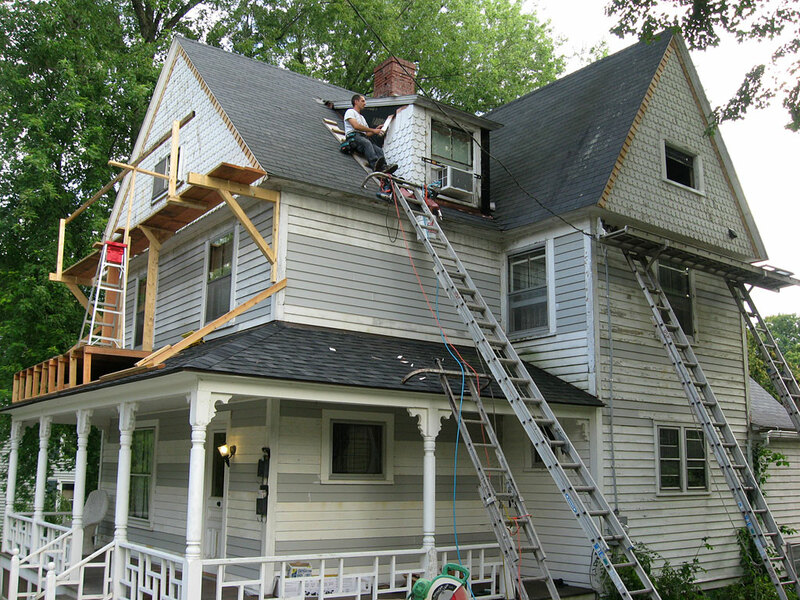 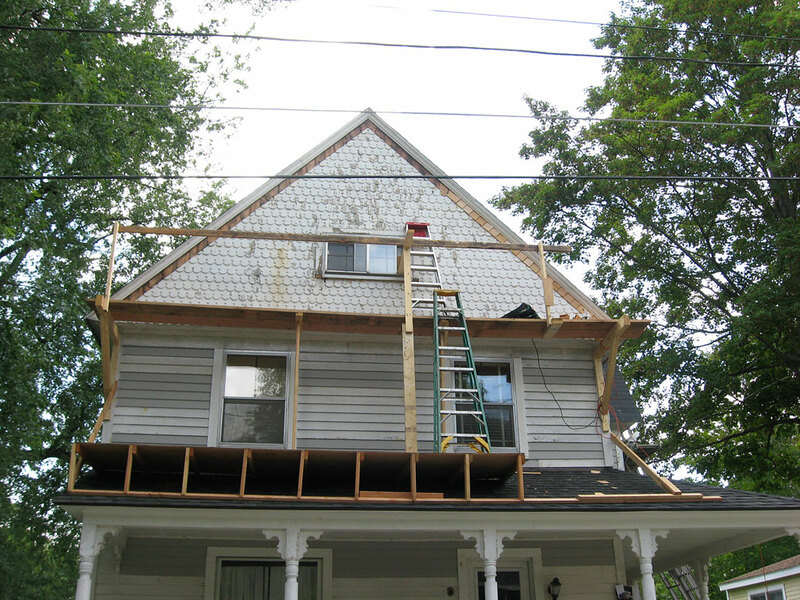 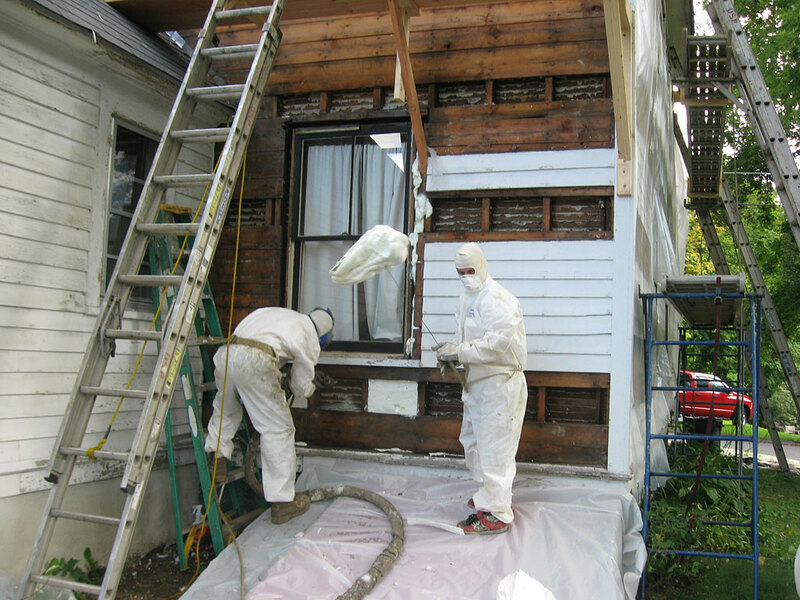 The bulk of this job was to prepare for insulation to be sprayed from the exterior. 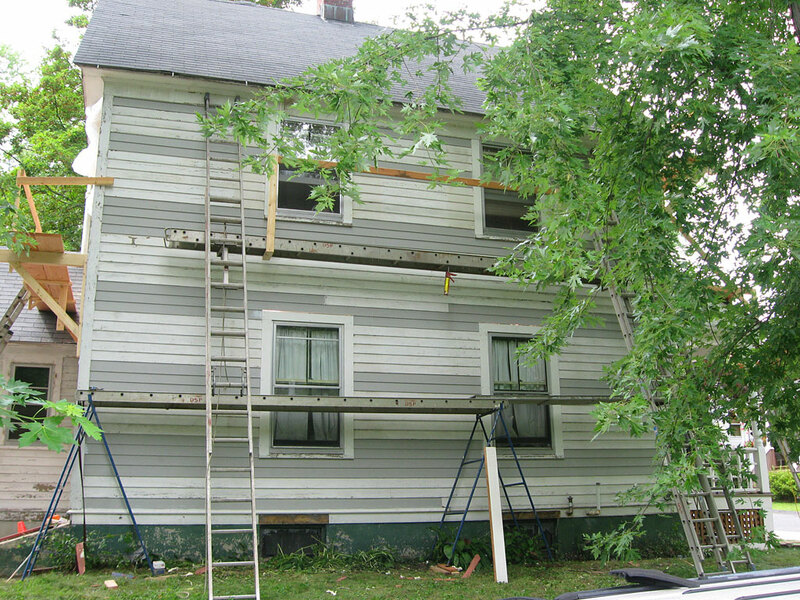 The interior of the house has very nice original plaster-work in renovated rooms. 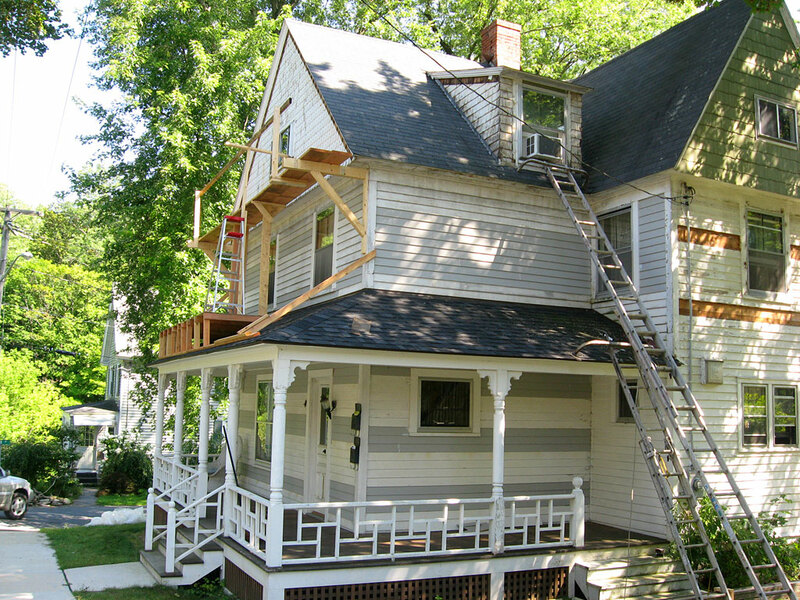 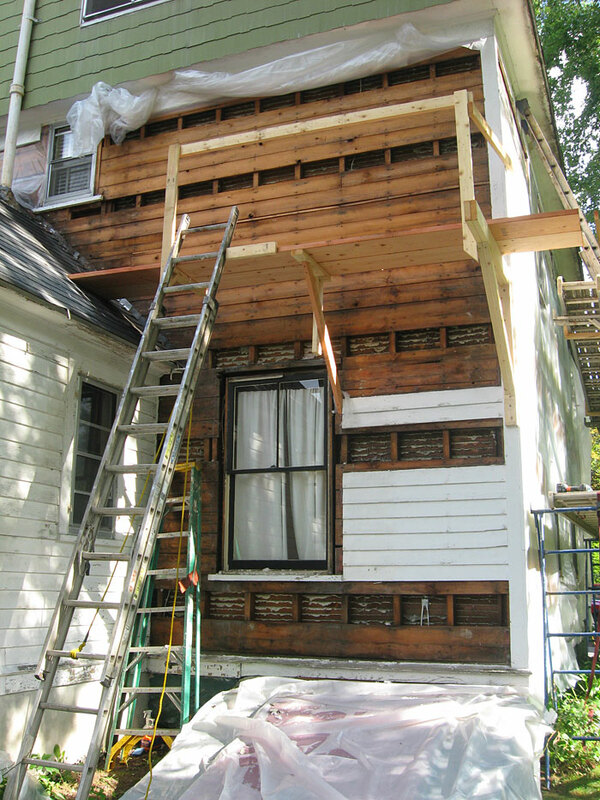 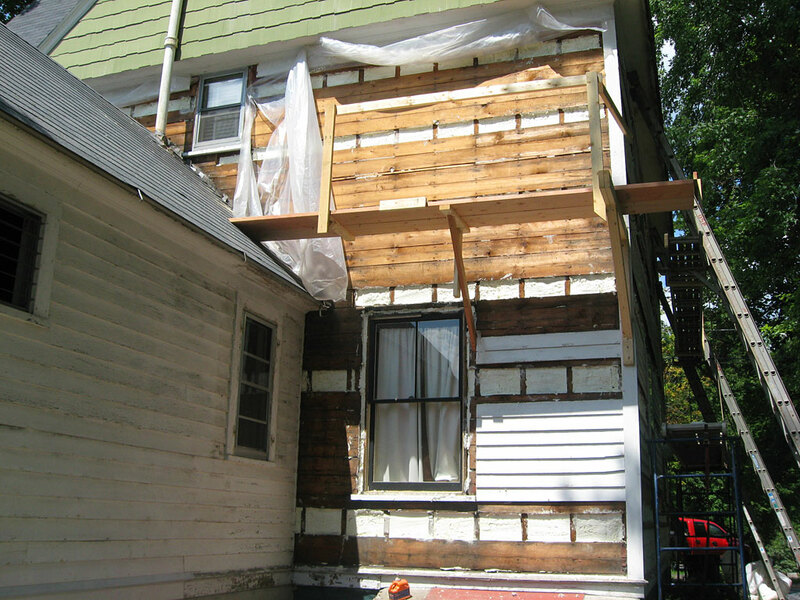 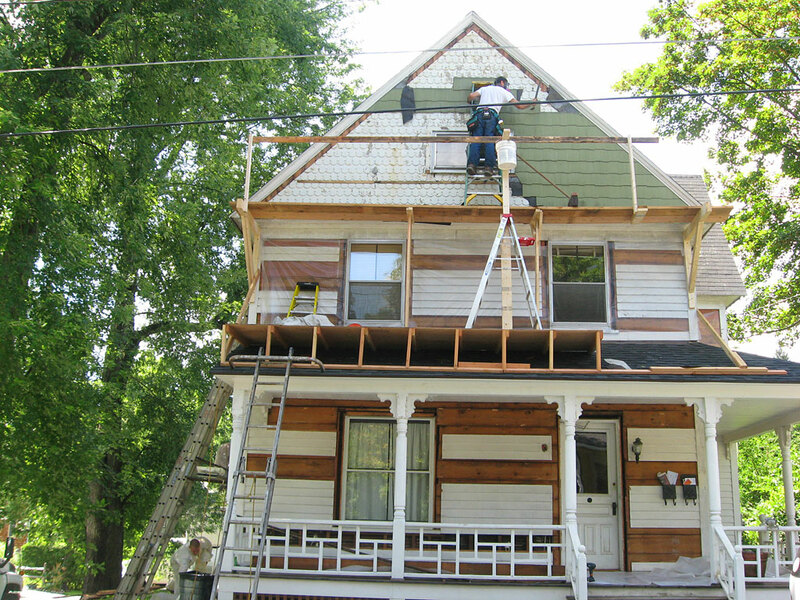 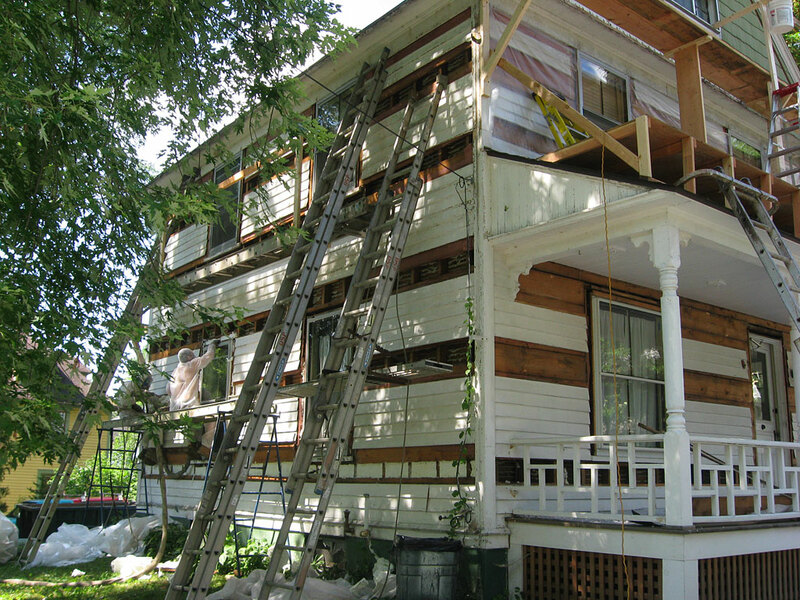 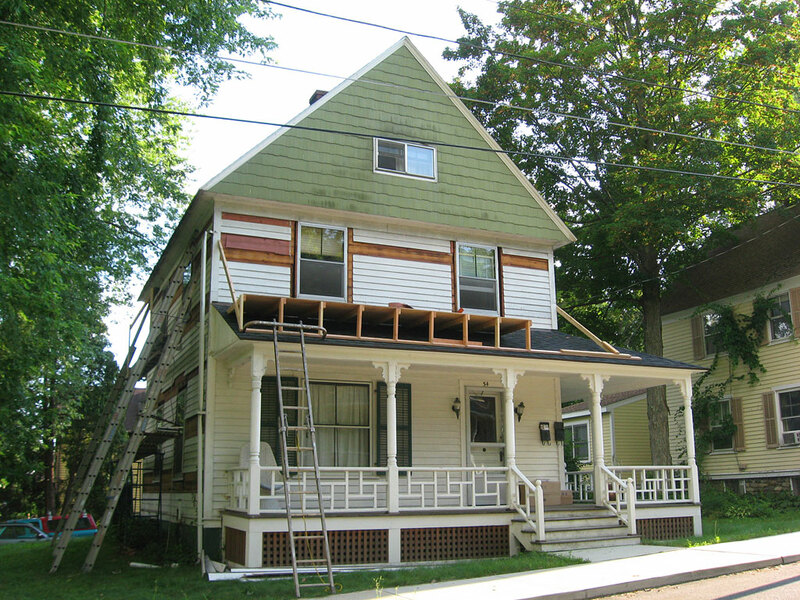 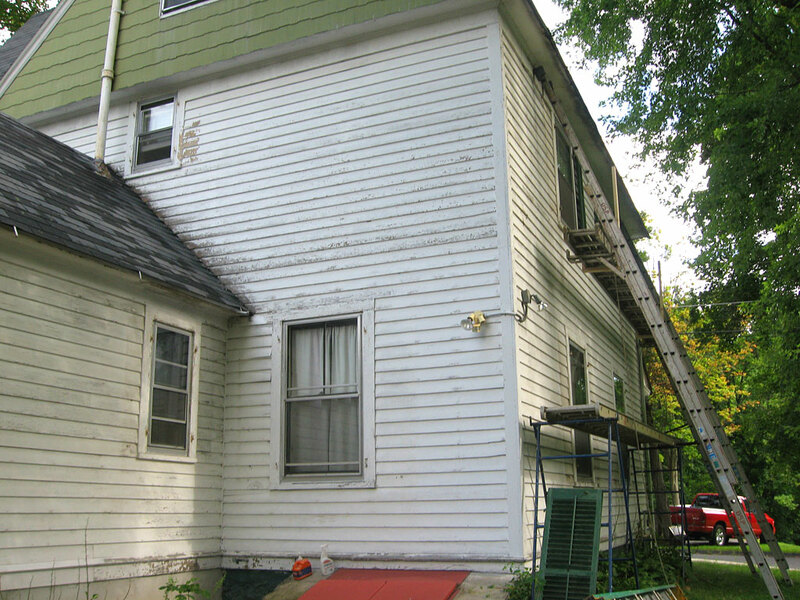 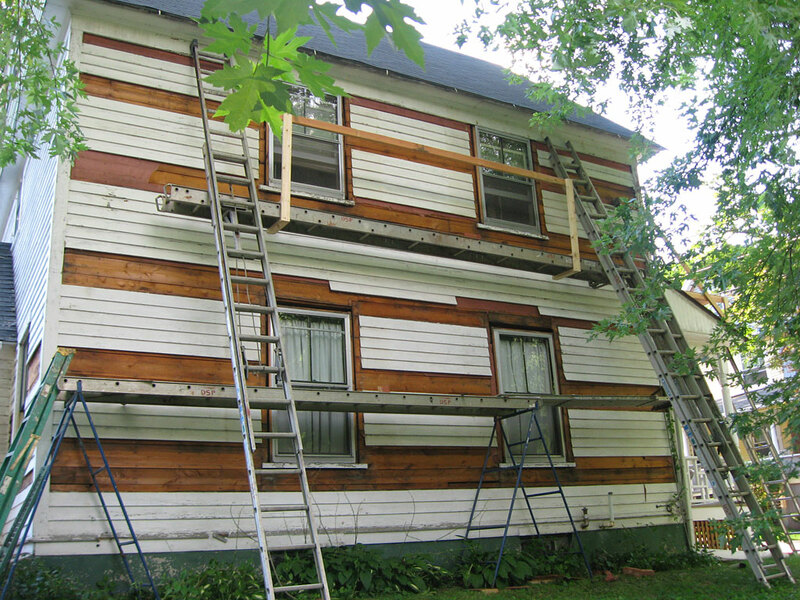 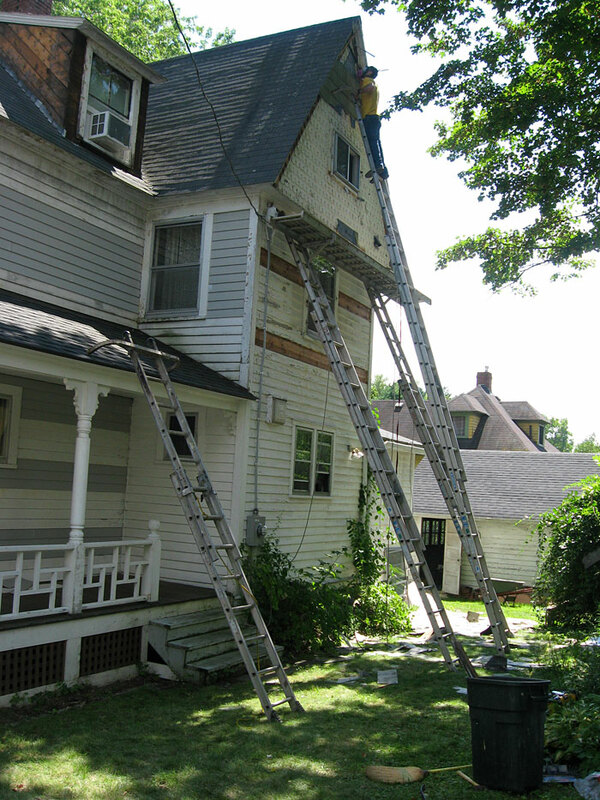 Since the exterior had heavily leaded siding in dire need of a paint job, it made a lot of sense to strip most of the siding to open up the walls from the outside and preserve the plaster. 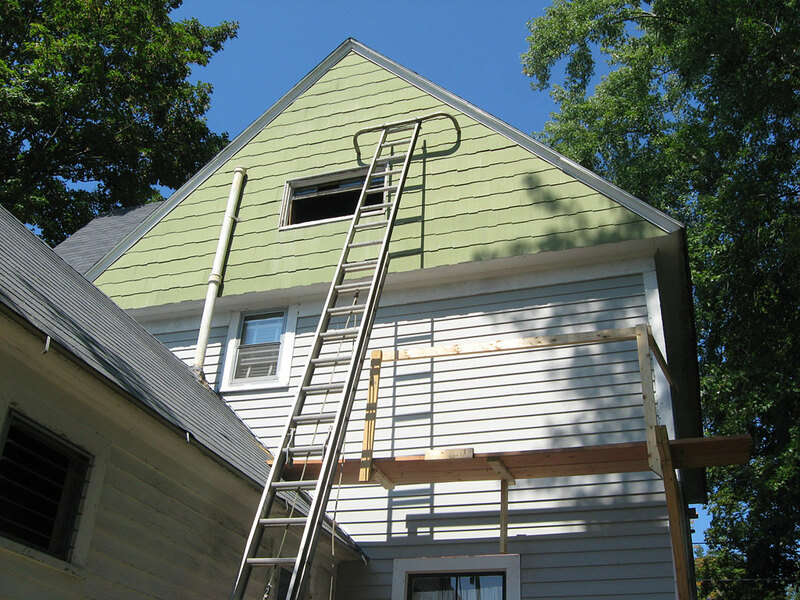 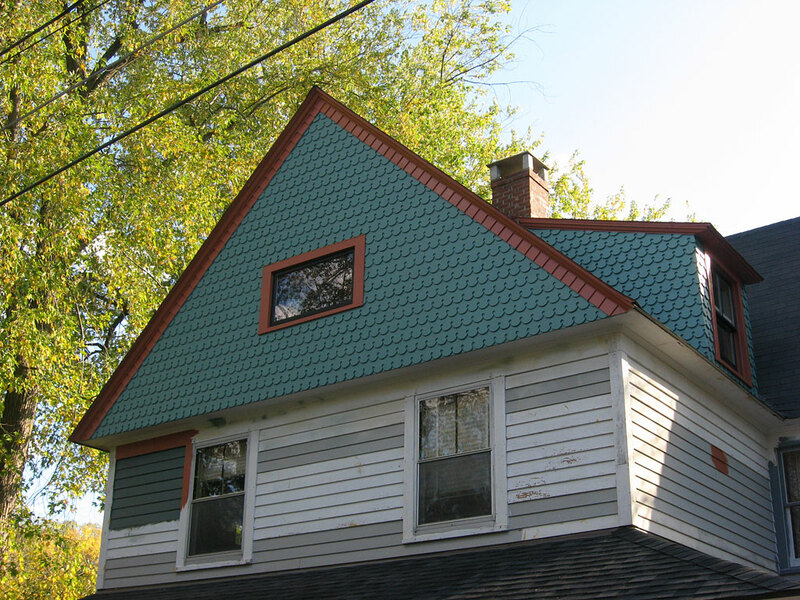 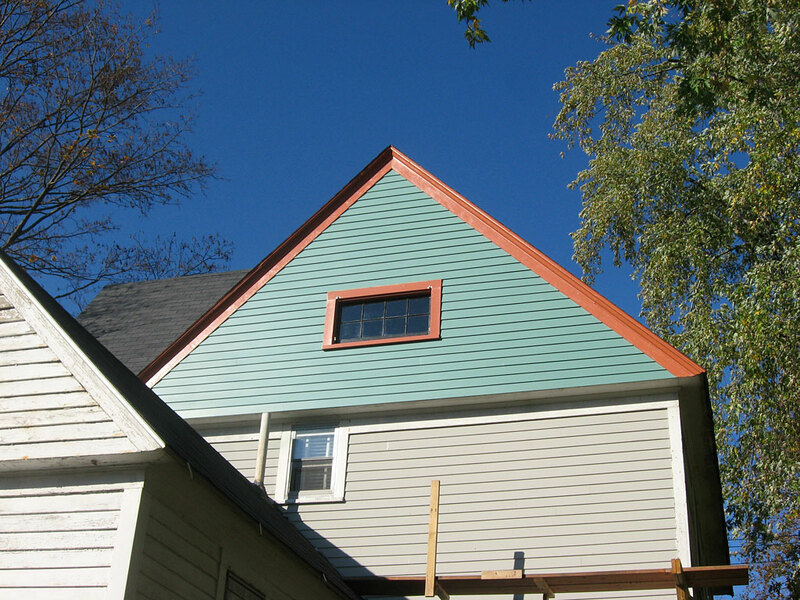 The three gable ends were covered in green asbestos shingles (the horror! 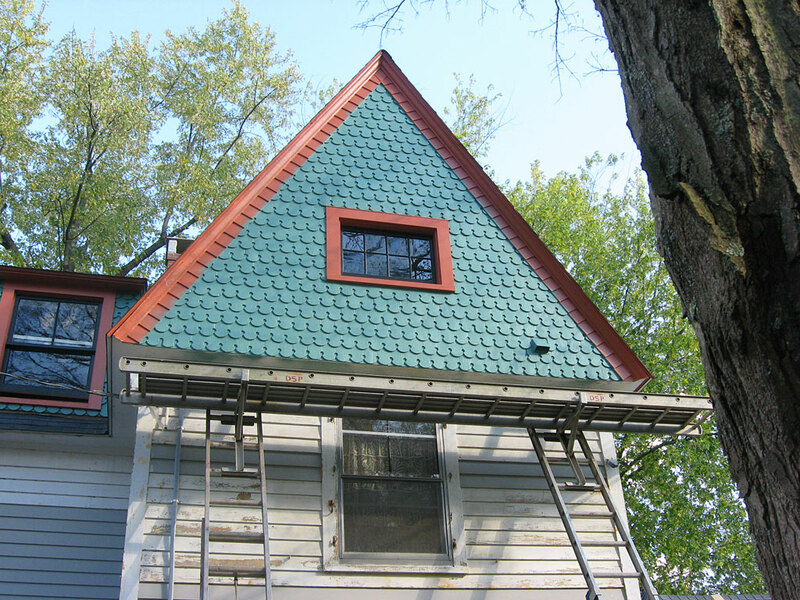 ), and much to my ultimate delight I discovered beautiful fish scale shingles underneath. 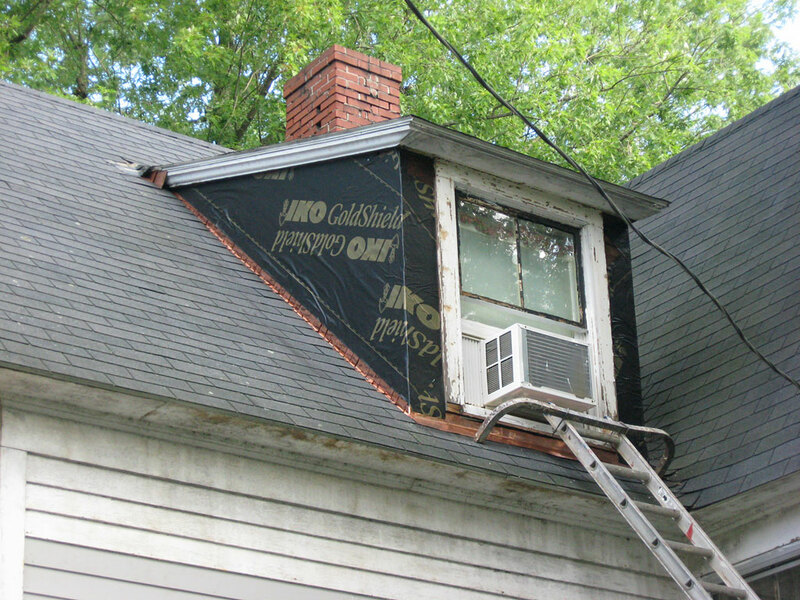 I can just imagine some door-to-door salseman in the 40s touting the wonders of asbestos shingles to the previous owner. 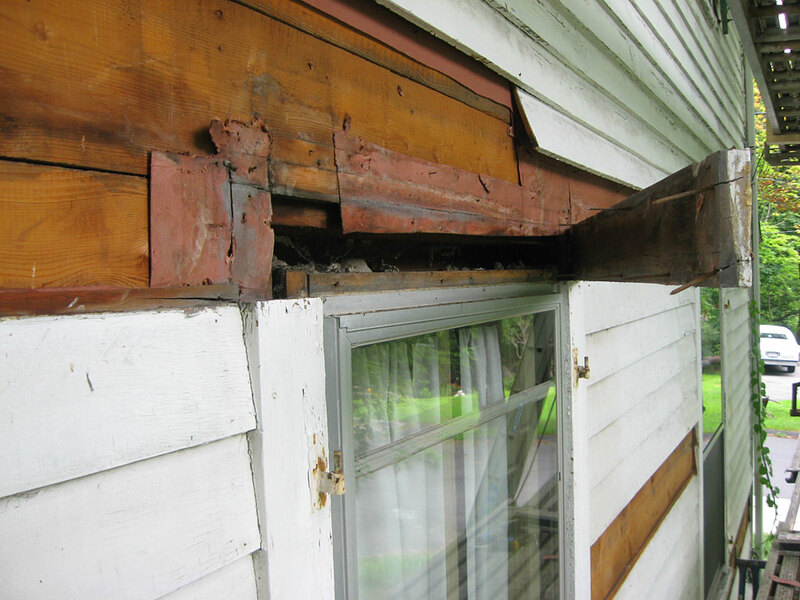 I wound up replacing all the window casings so I could yank out the old iron balances and foam those cavities. 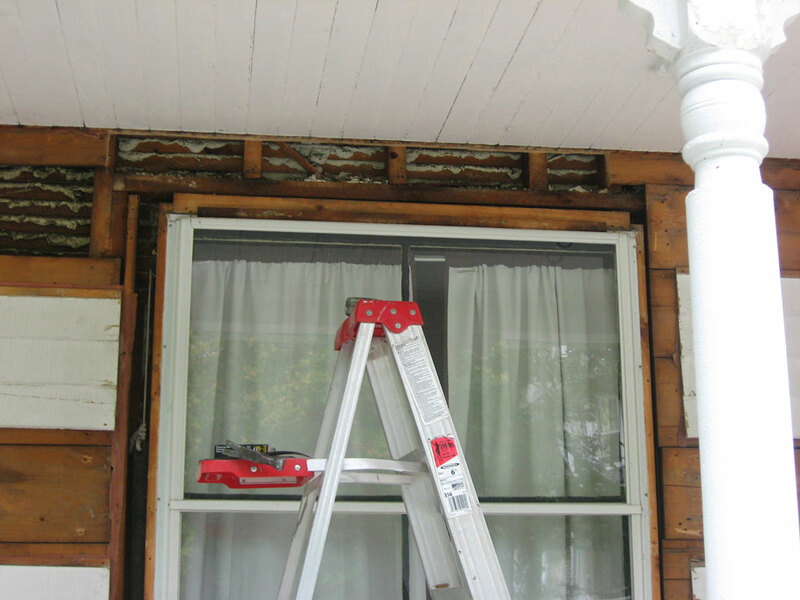 These were replaced with modern spring counterbalances that fit into the old pulley mortises. 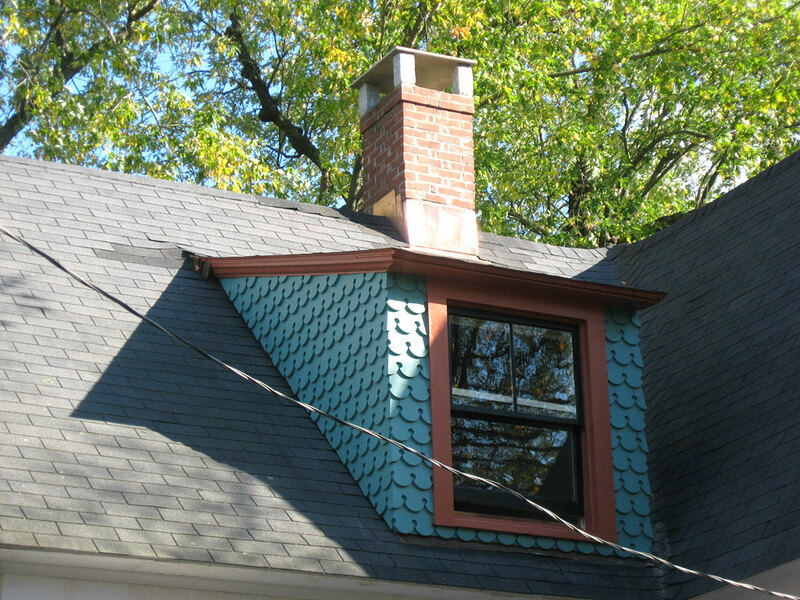 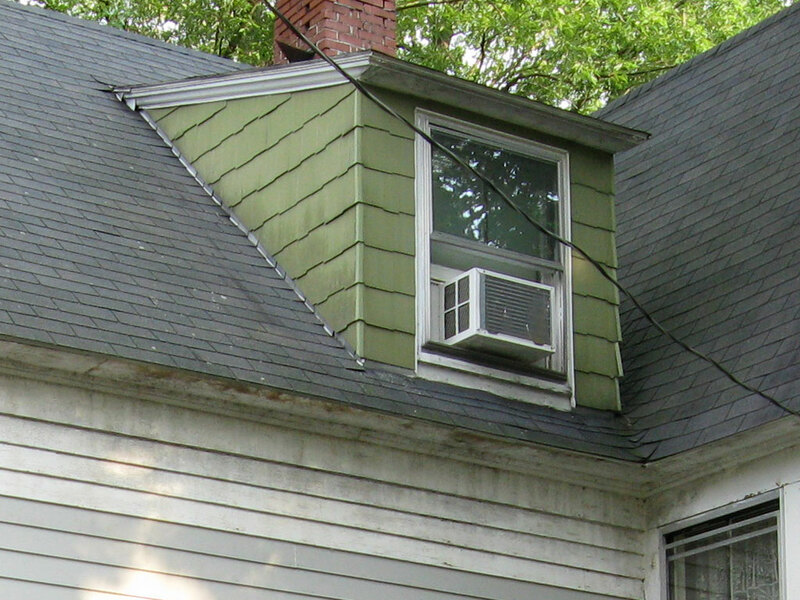 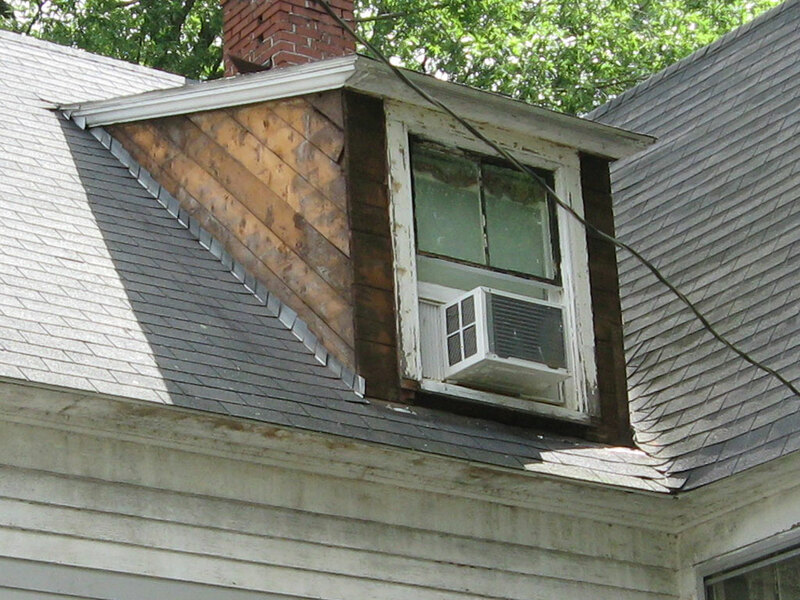 The dormer had regular shingles under the asbestos. 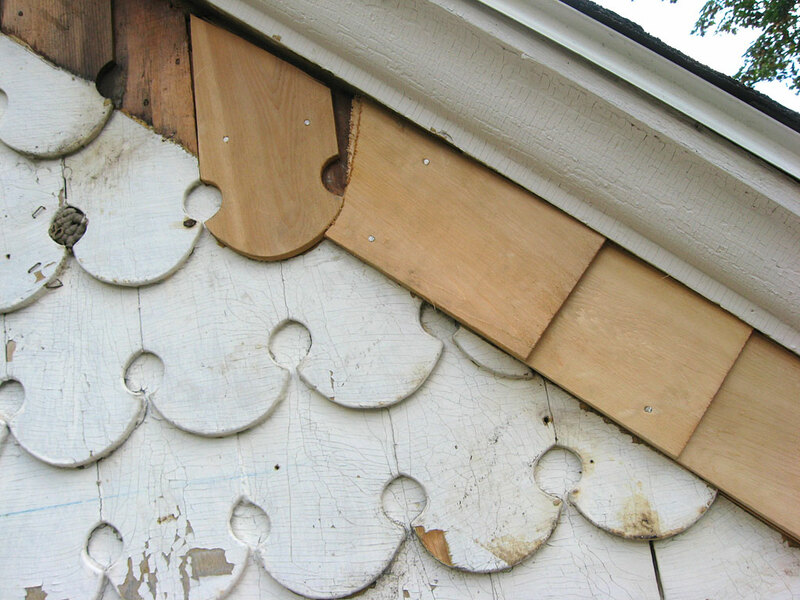 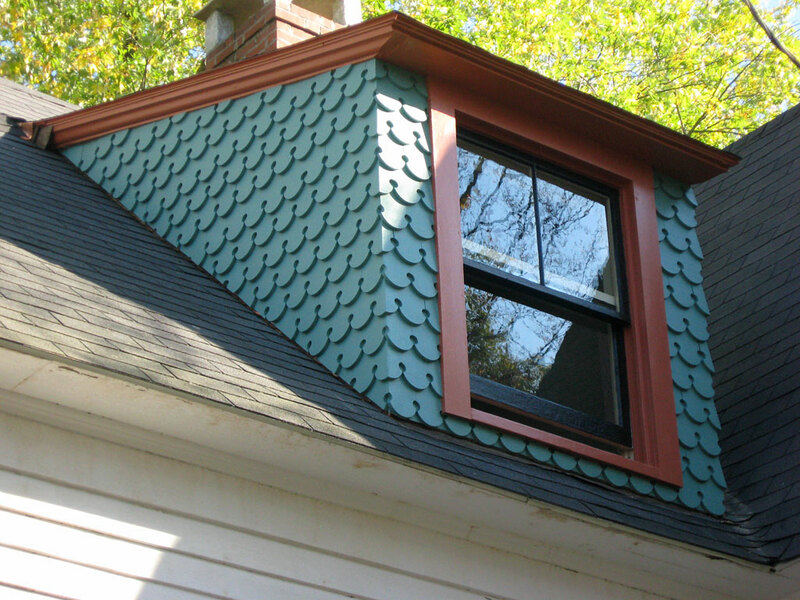 I replaced these with fish scale shingles that I custom milled in my shop to match the originals. 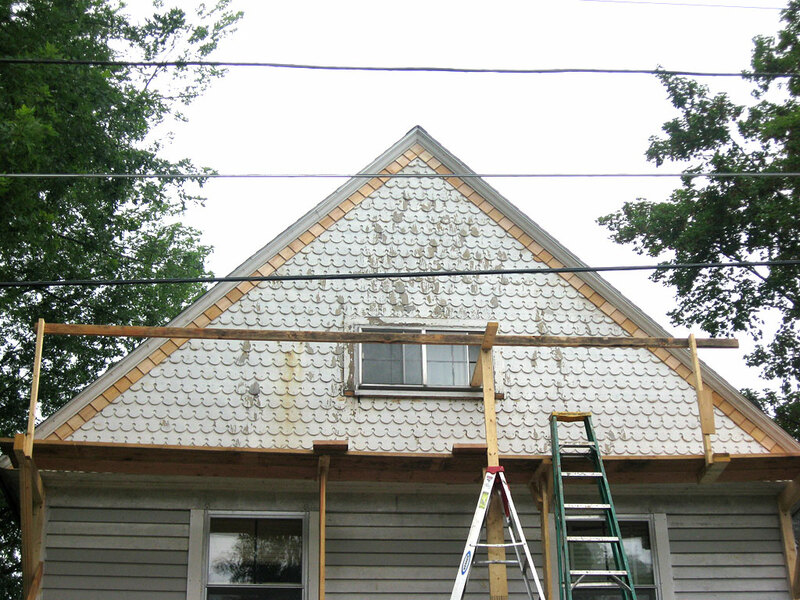 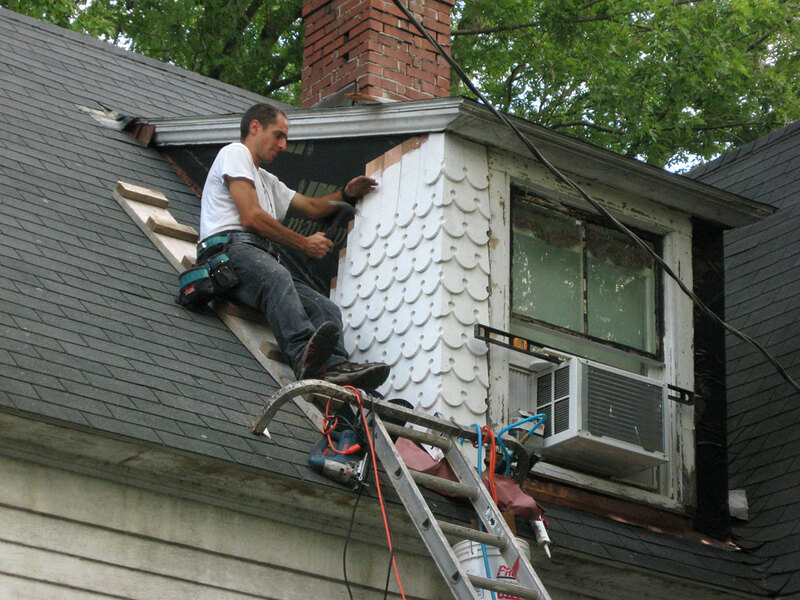 Shingling the dormer was a labor and a half. 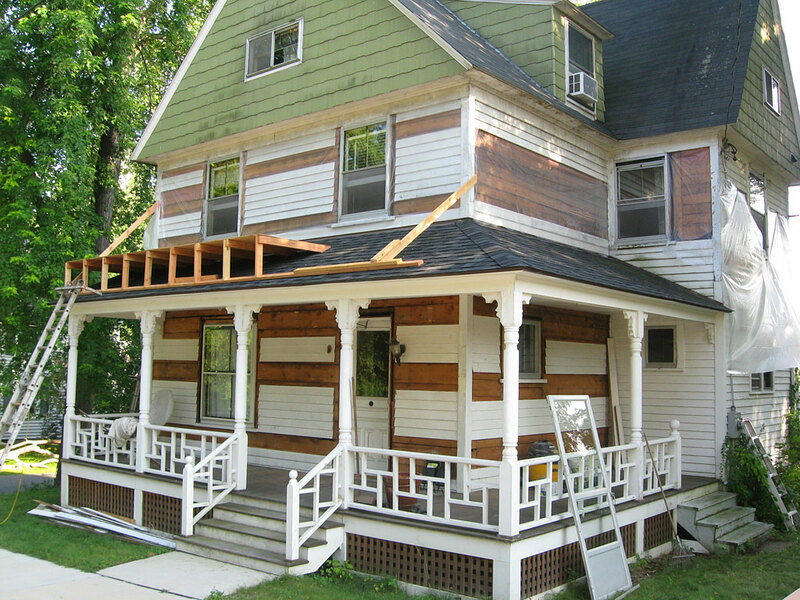 Shortly after this work I replaced the roof and added a nice exposed copper “W” valley.